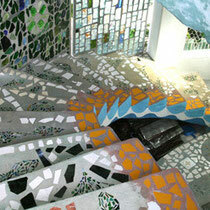 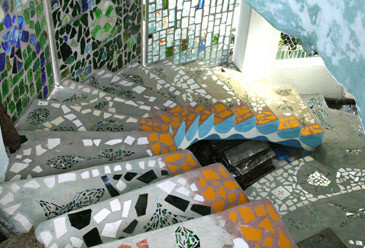 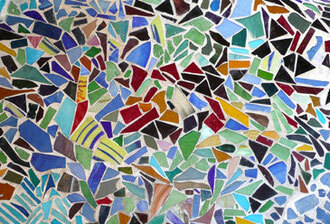 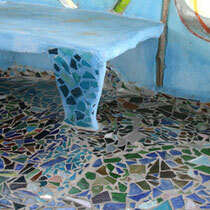 Scrap pieces of glass from the stained glass studio are cut to shape, assembled on a floor, wall or sculpture, glued in place, and grouted with a white cement or tile grouting. 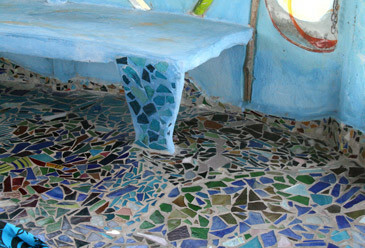 Anything can be used here, as well as glass - bottle caps, broken crockery, broken tiles or marble pieces, metal, tyres - whatever is available. 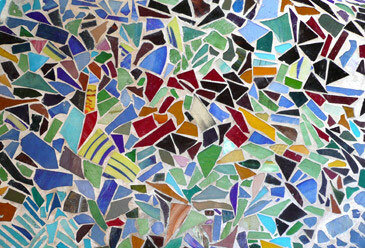 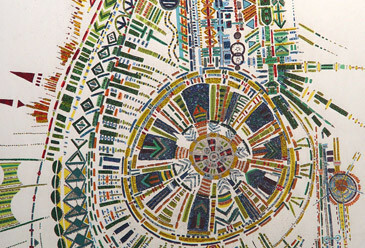 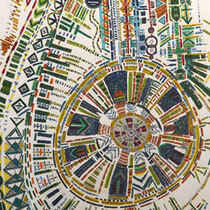 Mosaic on a larger piece of glass (using state of the art UV glue) is called ‘appliqué’, and is yet another technique the studios are adept in.